Visit local artists from Hannibal to Clarksville and watch them as they work – studio tours and more! Check out Clarksville’s local amenities for places to Hike, Bike, Shop, Eat & Sleep. Pat and Tom Hooper share the craft of pewter making with Mark McDonald at their store, ASL Pewter, in Louisana, Missouri. Louisiana Missouri is Clarksville’s big city to the North. 10 miles up the Mississippi, Louisiana is a lot like Clarksville. It’s a river town with some great working artists, eateries, city parks, and historic homes. ASL Pewter relocated from Clarksville a number of years ago to occupy a bigger historic building in downtown Louisiana. I love visiting their shop. Browsing the old fashioned pewter-ware is fun enough, but Pat and Tom are so interesting and fun loving that I end up talking with them just as much. It never seems to trouble them to give you a tour of their workshop, and after a visit I always feel better about my attempts at a simpler life! Tomorrow: Saturday June 2nd, 11 AM–4PM. The Chamber of Commerce will be holding a raffle at the Chili Cookoff. We tried to build baskets around products you can find handmade right in town. 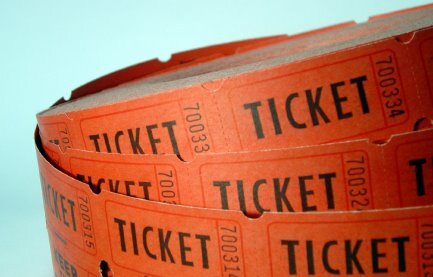 15 tickets: $10.00 <—Best Value !!! + Party Bowls, Corn Salsa, & Sombrero! Seats are top deck, directly behind home plate. A great view of the entire field, city, and arch.